They don’t show that in the travel guides! I expect it’s a bit of a shock to think you’d be enjoying a peaceful, romantic, gondola ride to find that instead you’re stuck in a traffic jam. Great pic though! Indeed. £100 for an hour in a traffic jam could shatter the illusion. 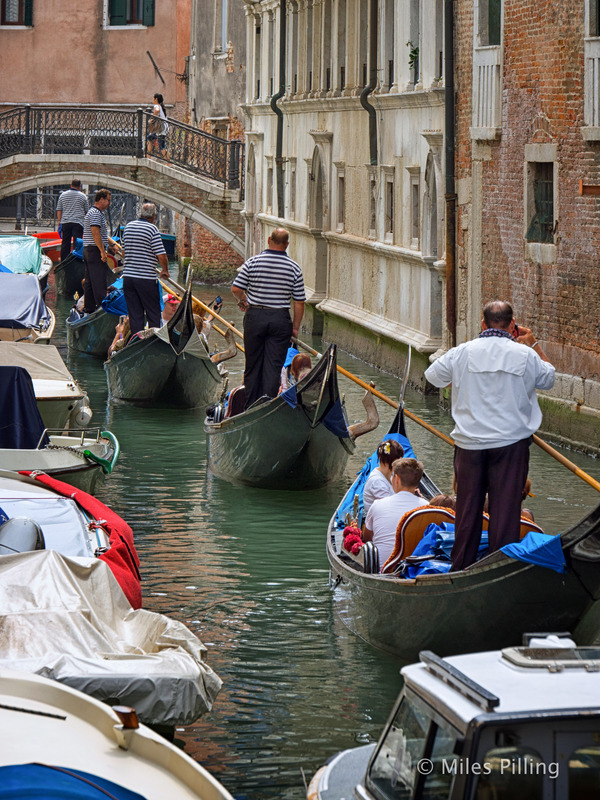 I’ve got a great picture of a guy who managed some of the gondoliers counting a big wad of money. I’ll post it soon.